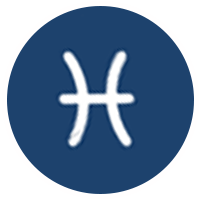 2019/02/12 2019 is a power year, Pisces, and most of what you do will happen out in public, in plain view, andprobably with the help and cooperation of others. Your circle of friends and partners will grow, starting in February. You wont feel lonely in 2019.Feel more bold about money, possessions, and your own body in the springtime. Consult your intuitions and instincts as a way to look before you leap into unfamiliar territory - but be brave.Later in February, when Mars is retrograde, your mental focus and health will be less impacted than other signs. Enjoy a period of emotional calm. You know how to feel intense without showing it all the time.A Solar Eclipse in February may stir events in your world, but youll be prepared. The Lunar Eclipse in Pisces in February is more emotional.The Mercury-Venus conjunction in your 2019 chart is a gift that keeps you smart, sharp, and sensitive all year long.